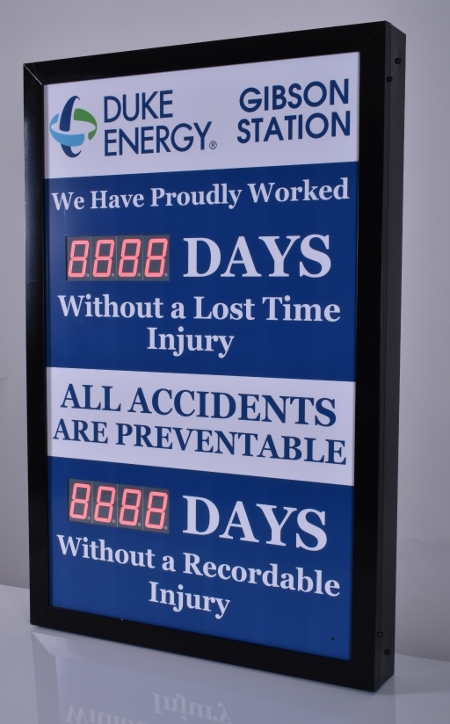 Days without accident sign with two counters. 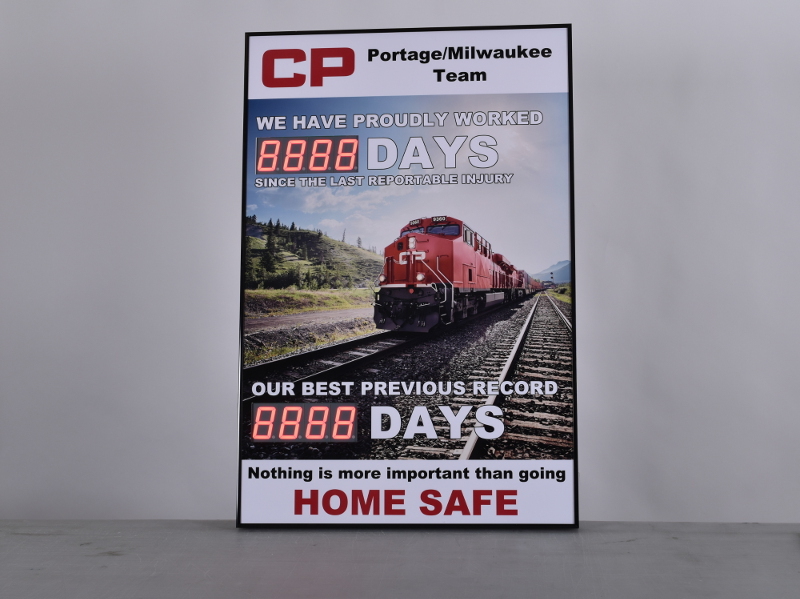 Use one counter to display a previous record and the other to track your current days safely worked. Customize it easily online! 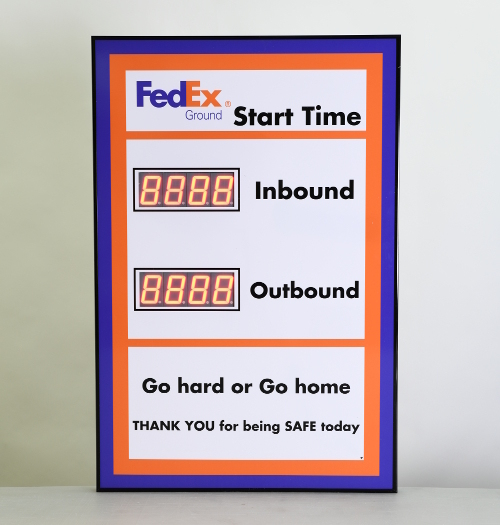 Increased attention to safety and heightened employee morale are just a couple of the many benefits of a safety program that makes use of Safety Scoreboards. 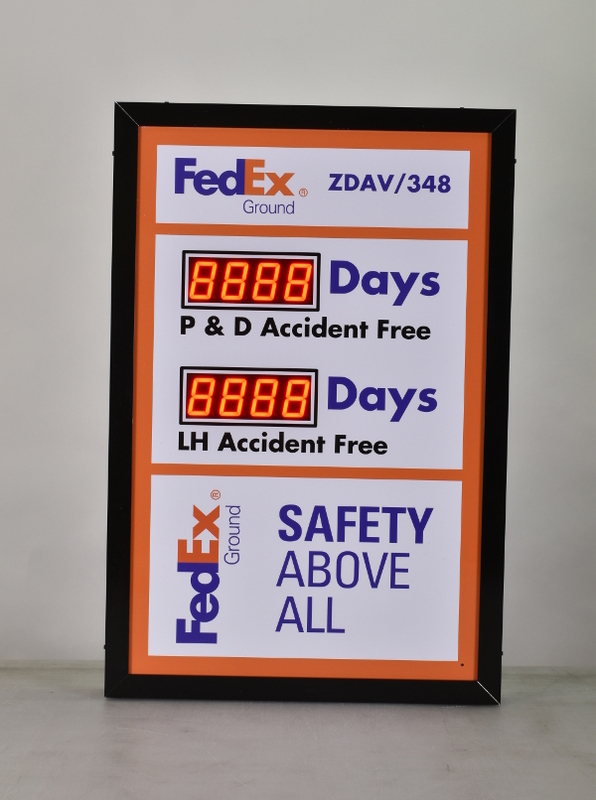 This 36" high by 24" wide sign with two 2.3" counters will allow you to track your safety record and a previous record or track the days since a lost time injury for two different departments. Each counter will automatically track the days since a lost time accident by automatically counting up one each night at midnight.